CLICK CLACK KITCHEN GADGET RANGE. A range of elevated kitchen gadgets designed for Click Clack. Designed with a refined elegance for a unique market position. DESIGNED FOR THE TASK IN HAND. HOW DO WE CREATE A DESIGN LANGUAGE THAT IS BOTH FUNCTIONAL AND ELEVATED? 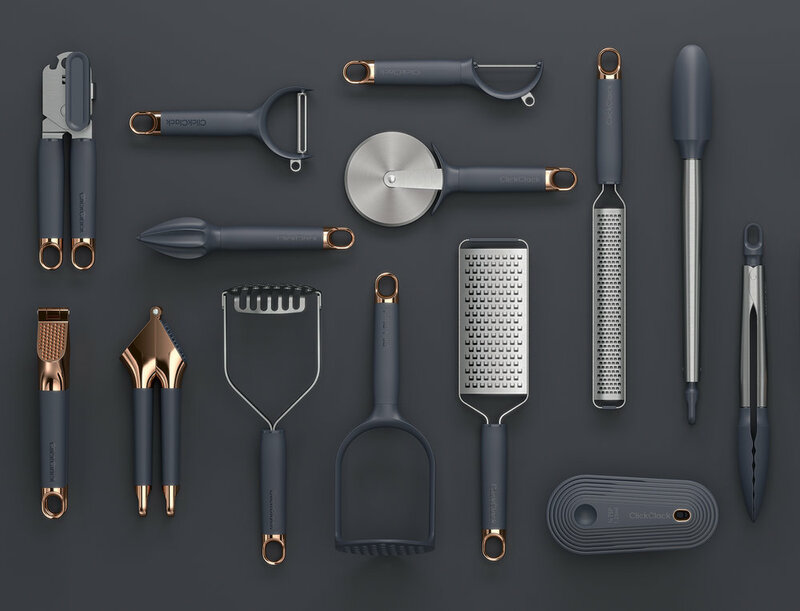 This project was driven by a need to elevate and refine a range of everyday kitchen gadgets to occupy a unique market position. We wanted to create something that was not only highly functional, but something that was elevated, refined and feminine.